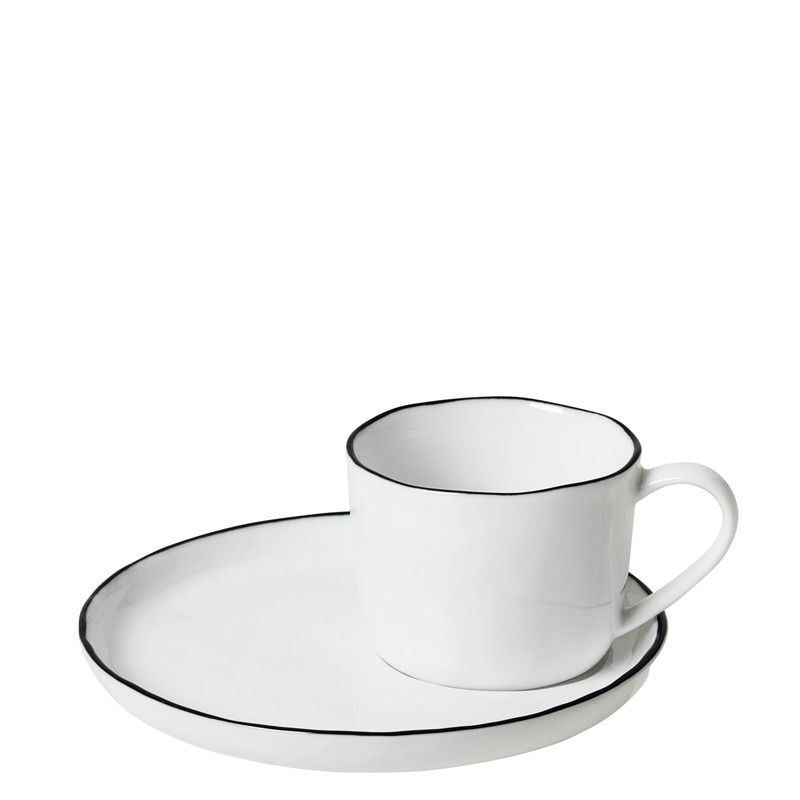 The 'Salt' Collection from Broste Copenhagen features classic shapes and hand-painted rims. The unique look of each piece is achieved with a special glaze, which in the firing process develops a special colour and texture. The finish and the monochrome palette fuses elegance and edginess.